The autumn season is sensational in Japan. Mild temperatures combined with vivid colours make a landscape of splendour, especially as the leaves take on a rusty glow. 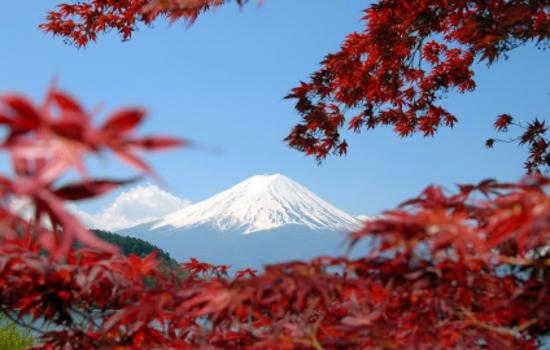 Japan makes a great holiday destination in the month of October as the mild weather is perfect for getting out and about. As it happens, October is also host to a number of festivals in Japan, meaning you won’t be short of things to see and do during your stay. Also known as the 41st Naha Great Tug of War, the Naha Festival is definitely worth a visit. Open to everyone, this is tug-of-war with a difference, because the rope is gigantic! In fact, the rope weighs more than 40 tons, and needs more than 15,000 people in order to pull it. You won’t need to spend any of your Japanese Yen for a memento though; a little piece of the rope is apparently enough to bring you good luck for the rest of the year. The Kurama Fire Festival is one of the most unique festivals in Kyoto. Everyone from young children to adults gather together on a procession from the village houses to the Kuki-jinja shrine. Japanese taiko drums bang out powerful rhythms as young men hoist five-metre-high pine torches onto their shoulders. They then parade through the village streets, showering sparks everywhere. It's believed that being touched by a spark is a sign of good luck. This festival is likely to bring your holiday pics to life, providing you don’t keep your camera too close to the flames. Located in the Ehime prefecture of Shikoku – one of the main four islands of Japan – the city of Niihama hosts a truly exciting event each October. The Niihama Drum Festival takes over all five districts of the city as hundreds of people take to the streets. You will see over 50 lavishly decorated drum floats, each carried by 150 men. Keep an eye out for the Kaki Kurabe event, where teams compete to see how long they can hold up their float. No matter when you plan to visit Japan, you are most likely to find a quirky festival or celebration worthy of a few holiday snaps. Don’t forget, Japan is famous for electrical goods!